STOP! Before Your Doctor Ruins Your Life With Insulin | Denise A. Pancyrz "Reverse My Diabetes"
I believe in taking the opportunity to naturally reverse type 2 diabetes. Once medicated and on insulin, you are not reversing the effects of diabetes. You are managing glucose levels, side effects of the disease and medication and the daunting reality that dosages will increase. The problem with this protocol is you are not improving your health. If you think it’s hard to adjust your lifestyle by making better food choices, building in some activity and getting good rest, living on insulin shots for the rest of your life will increase that difficulty. You will never achieve a normal (less than 5.7) A1c level. In fact, most likely the best you can achieve will be between 7.0 to 7.5 A1c. Why? It’s too dangerous. Has your doctor explained this? Over 300,000 diabetics are in the ER each year due to hypoglycemia. The protocol for type 2 diabetes patients to calculate insulin dosing at each meal is subpar and dangerous. Why? Because you are placed on a sliding scale, not taught to appropriately learn how to dose. Preservatives. 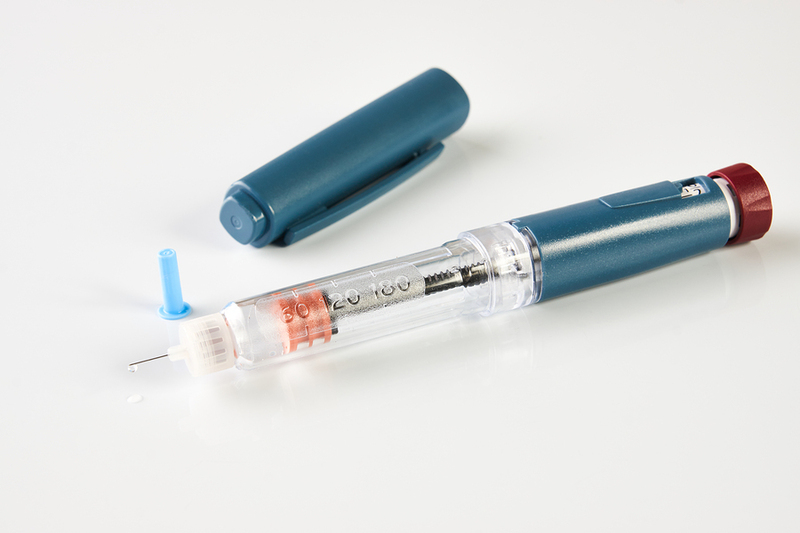 Understand why you can open an insulin pen and it can be used without refrigeration for 30 days or more. Did you know insulin has side effects? Side effects of insulin can occur such as weight gain, low blood sugar (hypoglycemia), low potassium (hypokalemia), water retention in joints, swelling, increased LDL cholesterol, headaches, fatigue, anxiety, sweating, dizziness, confusion, mood changes, difficulty breathing, fast heartbeat. Need I say more? Throughout the years of injecting insulin, your body will become desensitized, requiring you to increase your dosage. No one ever mentions the psychological effects of insulin protocol. Your life is forever changed and abnormal compared to other nondiabetics. Life is not fun as depicted on TV commercials. You may struggle making healthy food choices because insulin can act as a crutch for poor eating habits. This becomes confusing to an insulin-dependent diabetic. The worry of affording insulin as you age wears on your mind. As a previous insulin-dependent type 2 diabetes patient, I injected 4 shots every day and was repeatedly told I could never stop insulin. Yet, I did. I asked for information regarding side effects of insulin usage. The medical community tried to convince me I had to be insulin dependent, so there was no need to discuss side effects or any potential damage. Yet, I did the research coupled with my experience to realize insulin was not necessary, so in a calculated manner, I quit insulin. No one prepared me for the roller coaster ride of my glucose levels while using insulin. You can never mimic glucose stability when injecting insulin. It was very difficult to lessen glucose highs and lows. I never could reach a normal A1c level until I eliminated all drugs and insulin. There is no more worry of hypoglycemia or side effects. The next time your doctor tries to convince you insulin is the way to go, ask for detailed information and sources. If you are told you can never avoid insulin, it may not be true. There are lab tests and evaluations and that can help determine if it’s possible to avoid the need for insulin. When your doctor tells you this is not true, or they have never heard of this, ask if your doctor will do the research for you. Let’s see how much help you will get. It takes work to reverse the effects of diabetes. However, I found it to be well worth it and truly brought normalcy into my life. There is no shame in wanting to depart from the diabetes club. For a brief a moment, I considered apologizing for my level of passion in writing this article. It was a very brief moment. I believe, doctors who will not consider alternative ways need to be the ones to apologize for taking you down the path of making life more difficult. Speaking with many insulin-dependent diabetes patients, many are frustrated with how their health has deteriorated over the years. They put their faith in doctors that said this was the only way and life would be fine. For many, it’s too late to stop insulin. However, we can work toward lowering dosages. These lives are forever changed. Having shared my opinion, I will also state that there are many doctors that do understand and care enough to take the time. Diabetes patients must also be accountable; you are the leader of your health team. Still struggling? Want to know more? Feel free to book a free 30-minute consultation.